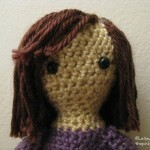 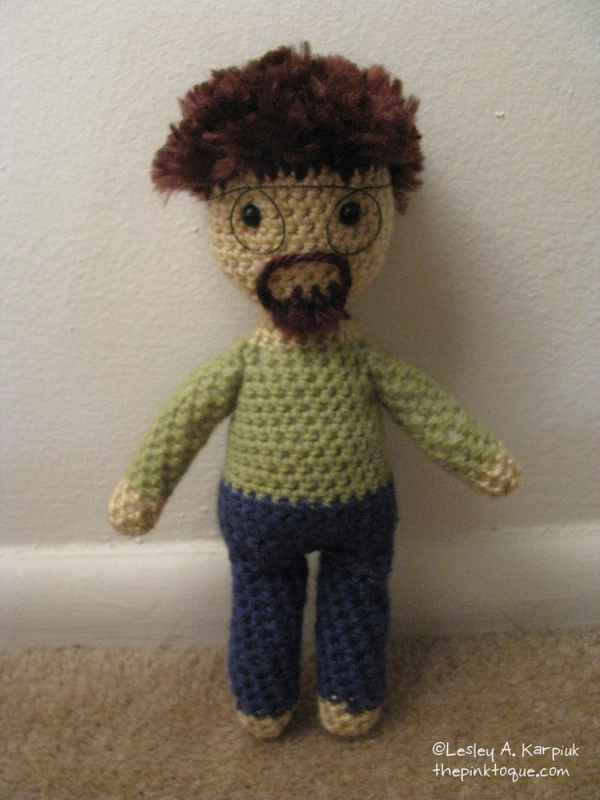 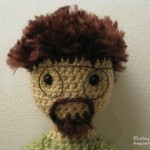 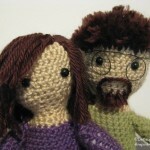 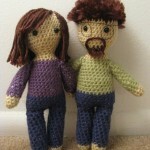 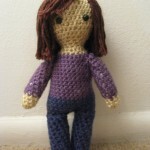 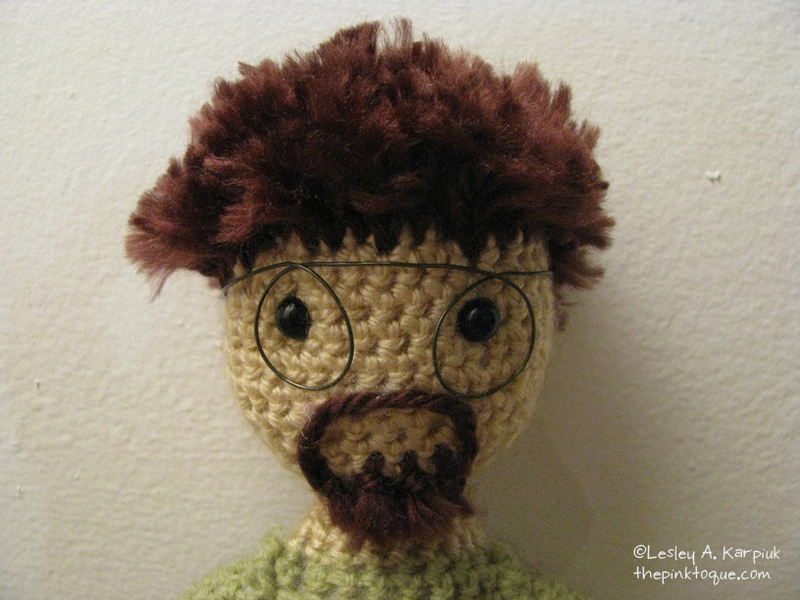 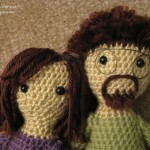 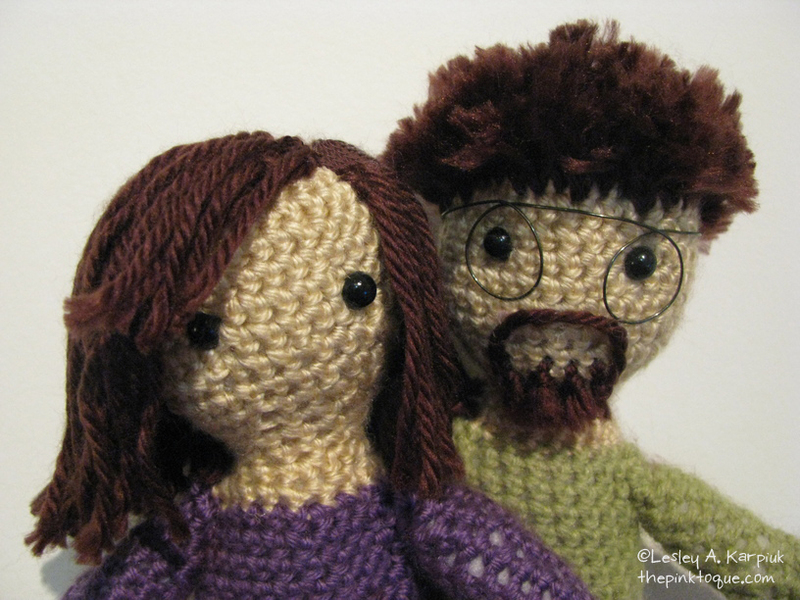 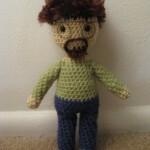 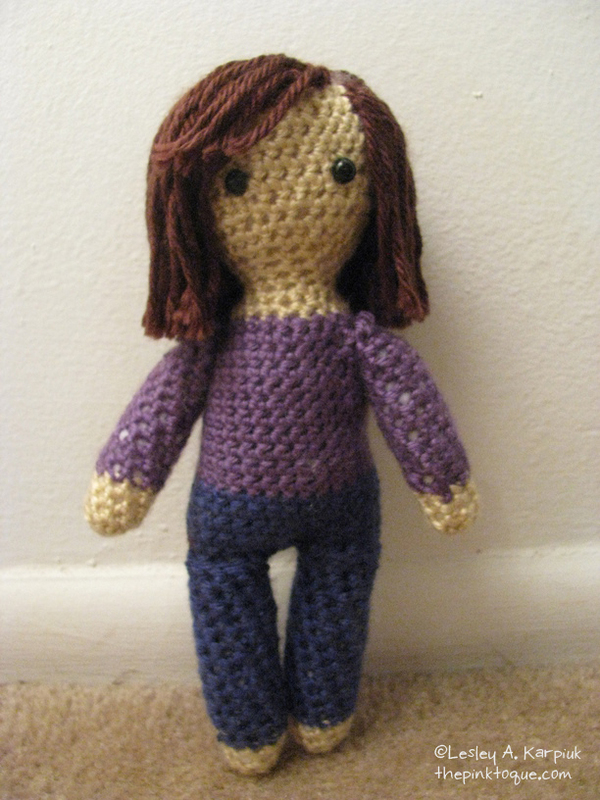 These are crochet amigurumi plush dolls created to look just like my husband and I. 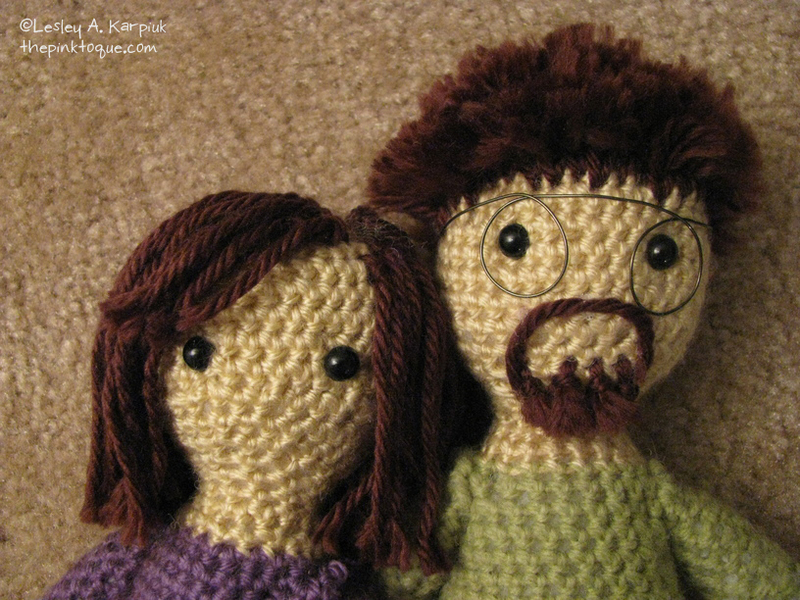 They were given as a gift to a friend who lives far away so that we can always be together. 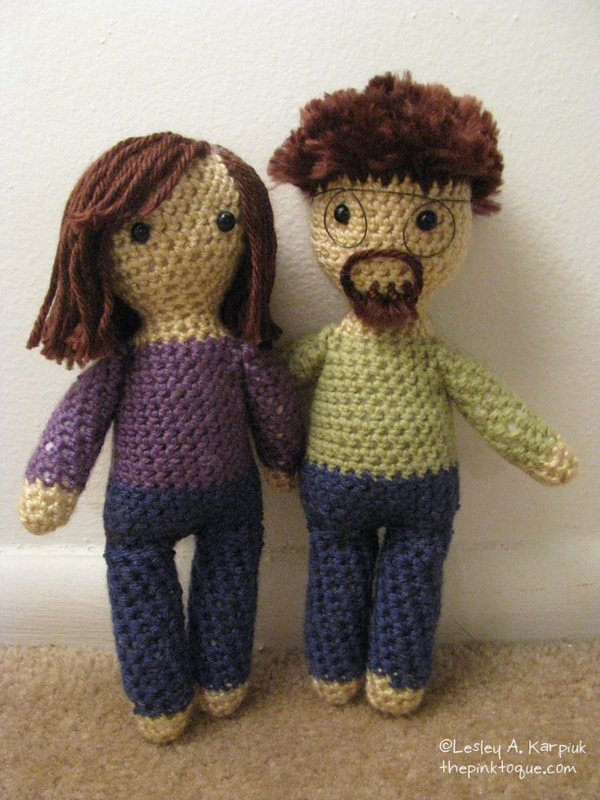 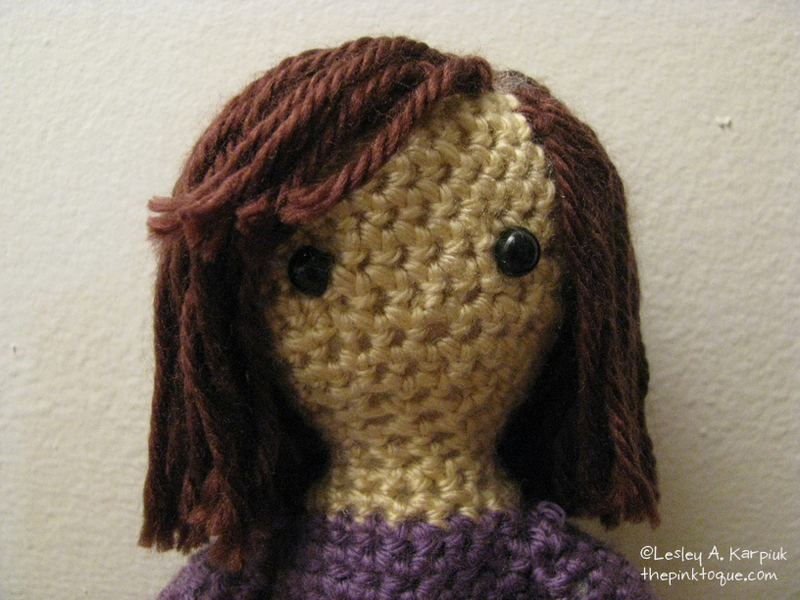 I designed the dolls myself and created their accessories to help make them more “Lucas and Lesley like.” They are a good likeness!